I'm sharing the love this anniversary night. I need to update my PB account with more Mick/Cora pics. This pic really stood out in the Gallery. 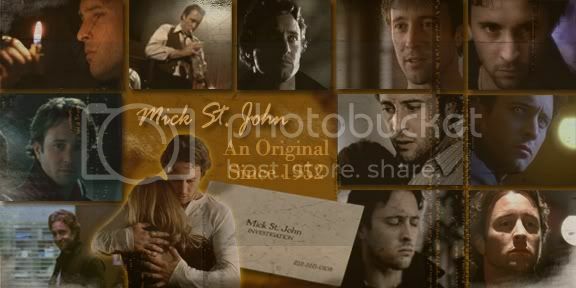 A couple of Mick/Cora banners by Tugafanatic ( ) that I found in my PB account. Oh man, Tuga is such an artist. Does anybody know if she's still around anywhere? allegrita wrote: Oh man, Tuga is such an artist. Does anybody know if she's still around anywhere? Sadly I don't think she's on any of the boards now. Such a shame. I miss her dearly. Even if you don't ship Mick/Cora, you have to read this. It is probably the most perfect summation of Coraline I have ever read. Wow! I mean, wow. AWESOME analysis! Kipling could have been writing that poem about Coraline and Mick, couldn't he?! And I adore that painting. Please tell your friend Steph that she has a fan in me. I always forget about her blog... I oughta go there more often! And this one was wonderfully done. Cora was such a complicated figure, and their relationship so twisted, complex, and searingly hot, it is great to see a discussion not infused with the old Beth v. Cora tripe, which was always such a way-too-simplistic way to view anything about Mick St. John, for whom no part of life was simple. Yep, look at me PGal. Your eyes are not deceiving you, I am actually posting in a Mick/Cora thread! What a wonderful analysis this Steph offered. Well. Done. I agree with her points and am applauding her mentioning how long Cora had access to "the cure" and how long it took for her to offer it to Mick. I never gave that idea any thought. Part of the problem is simply age. Cora was turned so very, very long ago. She's hardened. She lost her humanity centuries before she met Mick. (Look at Josef's mode of living vs. Mick's as another example) By the time she met him, she was fully and unapologetically a vampire. Enter the dashing, wide eyed young man. The relationship had no chance at longevity. 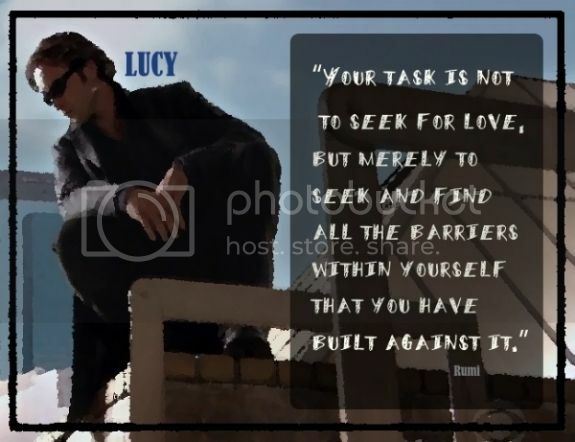 He was human---and retained his humanity years after being turned and she had given all that up years and years ago. She had no patience for his brand of vampire and he had none for hers. But, every good story needs a conflict and she was his. ...at least where Mick was concerned.